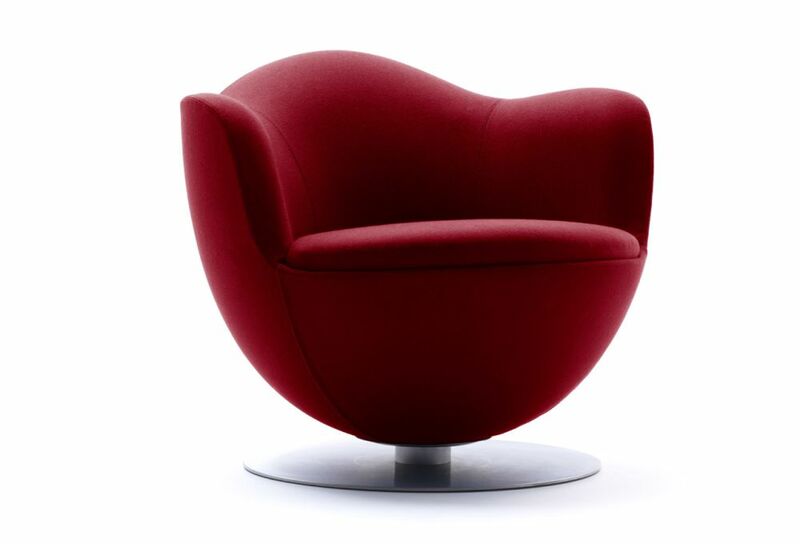 Dalia is a poetic and contemporary armchair reminiscent of the flower whose name it bears. Its smallish dimensions, the pleasurable comfort of its padding and its swiveling base make it a multipurpose product ideal for both the contract and residential markets. The shell is made of fiberglass and resin while the seat and back are composed of polyurethane foam. The swiveling base (also available with return mechanism) is powder varnished in natural aluminum color. The cover is fixed and available in a wide range of fabrics, leathers and Alcantara®.